Practice Areas - Manji Law, P.C. Immigration law is our primary practice area and we can assist you with Family Based Immigration, Deportation Defense, Business Immigration, Non-Immigrant Visa Applications, Naturalization, Deferred Action, Temporary Protected Status (“TPS”), DACA, DACA Renewals, Refugee & Asylum Claims, H1B Investor Visas, PERM Processing, and More. 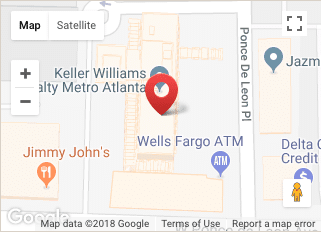 Click Here For More Immigration Attorney Atlanta information. Our Tax & Business Law Practice Can Assist You With Legally Setting Up Your Business, Drafting Bylaws and Operating Agreements, Tax Efficient Business Planning, Tax Elections, Business Sale & Purchase, Business Licensing, IRS Voluntary Disclosures, IRS Settlement Programs, Overseas Tax Planning, Foreign Bank Account Reporting (“FBAR”), FATCA Classification and Informational Reporting, Foreign Interest in Real Property, and More. Click Here For More Information. Our Estate Planning Practice Can Help You Plan Your Estate In A Tax Efficient Manner, Minimize Estate Tax Consequences, Protect Your Assets From Creditors, Gift Away Assets To Reduce The Size Of Your Estate, Change the Way Certain Property is Held to Allow it to Avoid Probate, And Distribute Assets For the Benefit Of Your Loved Ones In Accordance With Your Individualized Plan, Ensure you End of Life Plans are Followed, and Allow Your Business Affairs to Continue Should You Become Incapacitated. Our Services Include Drafting Wills, Advance Directives, Power of Attorney, Creating Individualized Trusts, and More. Click Here For More Information.